Linnenberg, T, Fay, A, & Kaisers, M. (2015). 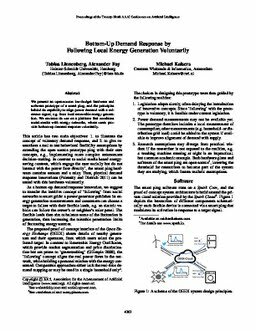 Bottom-Up Demand Response by Following Local Energy Generation Voluntarily (Demonstration). AAAI.